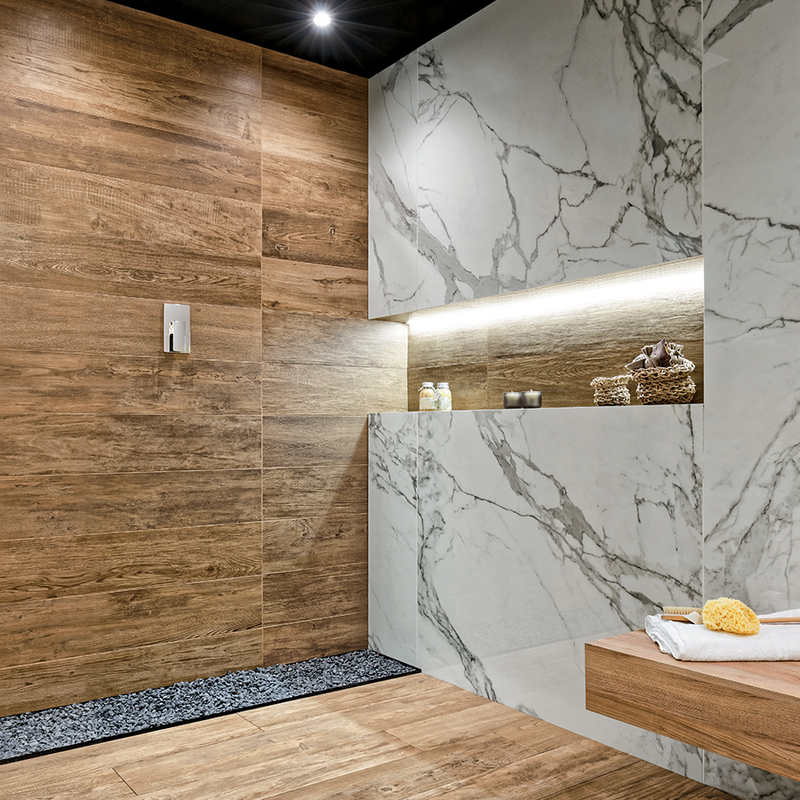 When talking about renovation for residential and commercial projects, the new interior design keyword is oversize tiles. As seen in the most important trade shows and events, the latest trend in terms of size is how to get bigger and bigger in order to offer more application possibilities characterized by innovation, beauty and maximum design freedom. 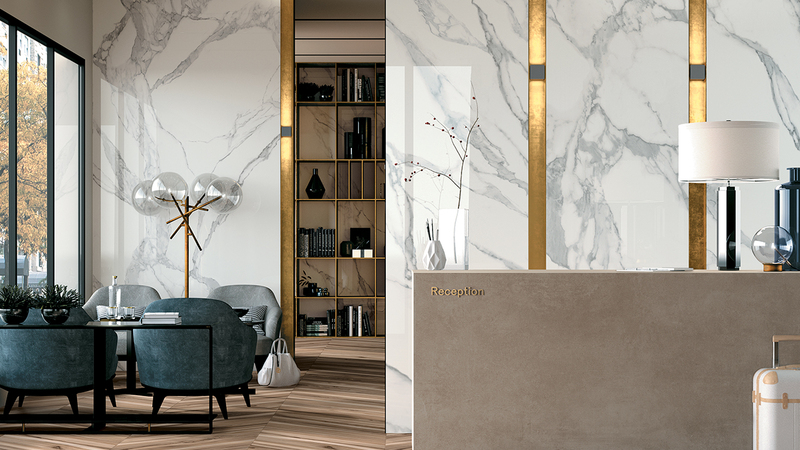 Mirage has embraced this trend and introduced new large-size slabs: the addition of the 160×160 and 160×320 cm sizes has led to new creative and functional possibilities, guaranteed by the impressive variety of application options. 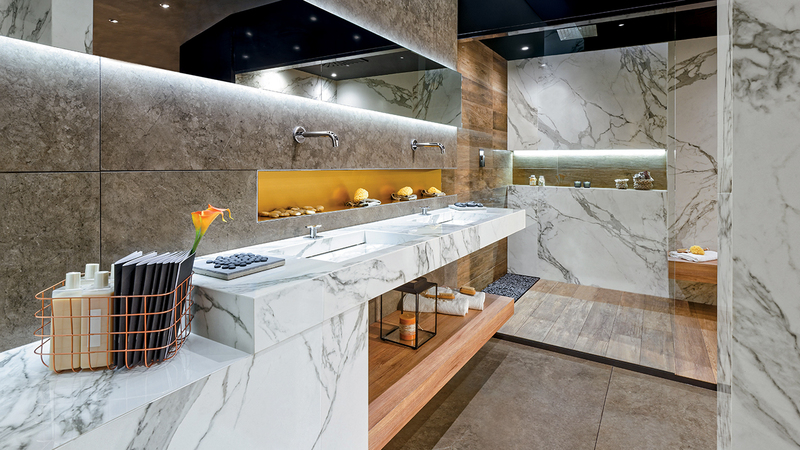 The primary reason for this choice in home design or commercial space is aesthetical: large-size slabs minimize the perception of space between one slab and the other. There are so many material inspirations and colors to be combined, and the results are original and surprising each time. 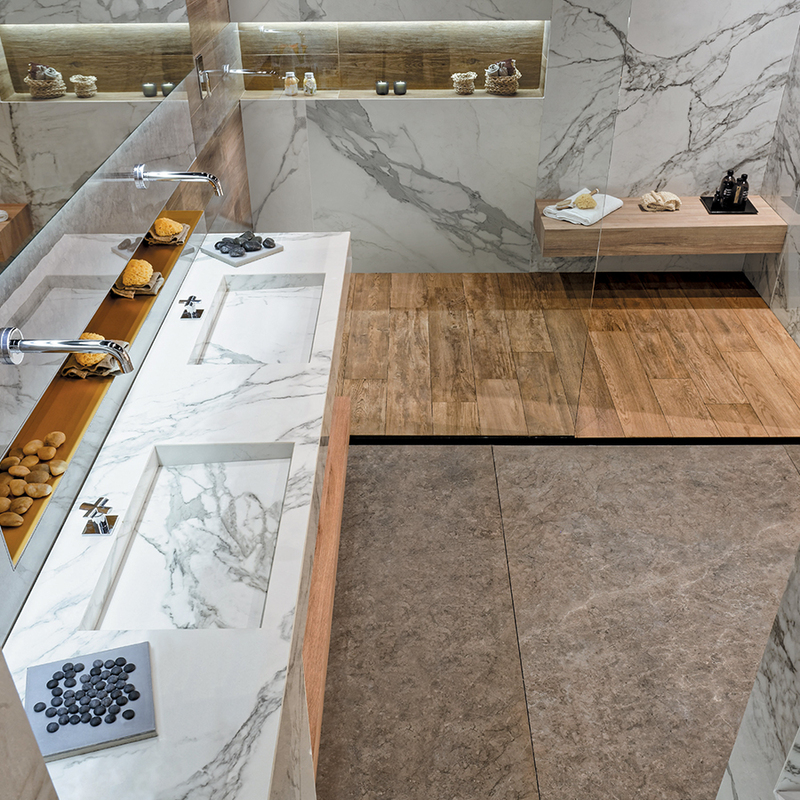 Slabs with marble, concrete, stone or metal effects can easily be combined and installed, for unexpected and innovative design solutions. 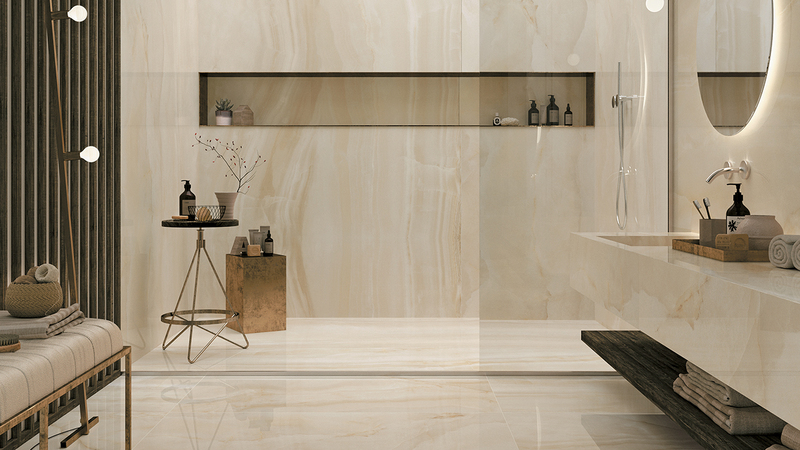 Another reason for the choice of large-size slabs lies in its natural ability to effortlessly renew a setting. The surprisingly small thickness – 6 mm – allows laying new tiles on top of the old ones as a second skin, overcoming the typical problems associated with demolition. 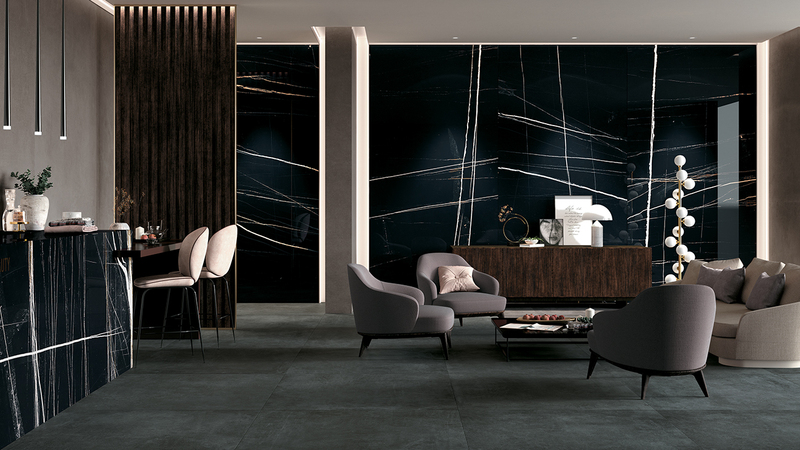 In this way, Mirage strengthens its vocation as a design partner with this extraordinary system of surfaces, where every component offers only the best. Mirage offers an effective and sustainable solution for any product type and application.